Alex, encouraged by his primary school, began to play the cornet at the age of nine and received lessons through Rotherham Schools Music Service. In his younger years he was an active member of all music service activities as well as playing in his school band and his local village band, Thorpe Hesley Village Brass Band. By the time he was 15 he progressed to become principal cornet of Rotherham Schools Youth Brass Band and joined the then named Wards Brewery Band (now Strata) as assistant principal cornet. After gaining his A-Levels he was delighted to accept an offer to study at the Royal Northern College of Music (RNCM) and studied cornet / trumpet with Roger Webster and John Miller. The RNCM provided many valuable performance experiences playing in various ensembles in a variety of concerts, festivals and recordings. Brass banding experience came through a short spell at Carlton Main Frickley Colliery and then Stockport based BT Band as Principal cornet, before he reached his life’s ambition in 2002 by becoming a second-generation member of the ‘World Famous’ Brighouse & Rastrick Band. He held the Repiano cornet position with pride for many years and enjoyed numerous successes both on the contest and concert platform. Alex continues to perform to a high standard by playing lead Trumpet for the popular Yorkshire based soul band ‘The Soul Jam’, as well as performing with brass ensembles such as All Star Brass. Alex gained a PGCE from the University of Huddersfield after graduating from the RNCM and has successfully worked as both a classroom and instrumental music teacher at all key stages. 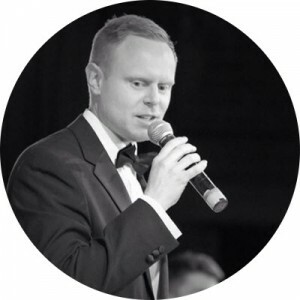 Alex is Lead Officer for Barnsley Music Service who are the lead organisation of Barnsley Music Education Hub and a member of the newly formed Sheffield City Region Music Board.He is also musical director for Barnsley Wind Bands and Barnsley Metropolitan Band. Through his work for the music service and his passion for instrumental music education, Alex has taken a keen interest in composing and arranging for junior ensembles and has produced a number of successful works which have been performed at major events. Website design by Head Start Design (based in Sheffield).